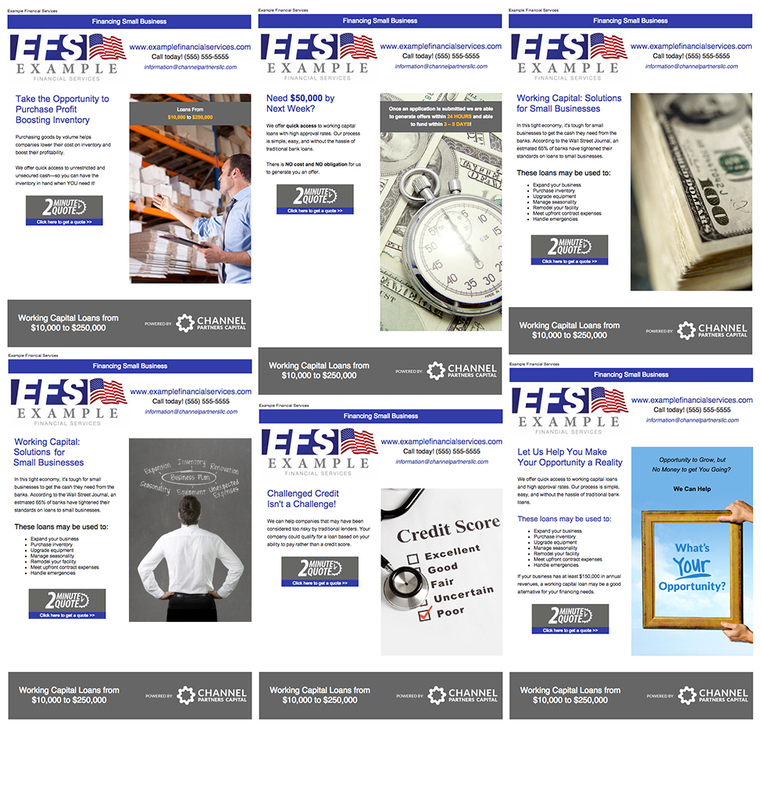 Marketing working capital to your customers is easy and efficient with our private label marketing tools. Our messaging based on our expertise of the working capital market will keep your company at the forefront of your customer’s minds. 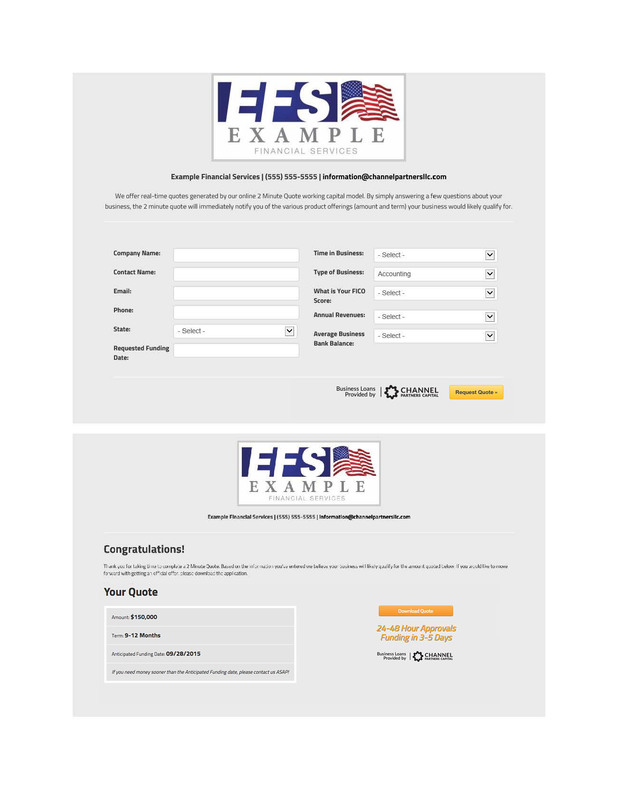 Sign up to be a referral partner and we’ll set you up with a private label 2 Minute Quote website. Badge Code for your website: Add your private label 2 Minute Quote link to your website. We provide you with the web code that will populate a button for your website and automatically link to your 2 Minute Quote website. Let us help you start marketing to your customer database. We can help you with messaging, creating email templates and setting up delivery strategy. 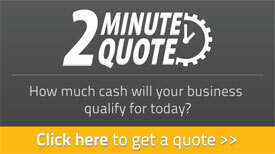 This marketing will help direct potential customers to your 2 Minute Quote webpage where they can receive an immediate Working Capital quote for their business. 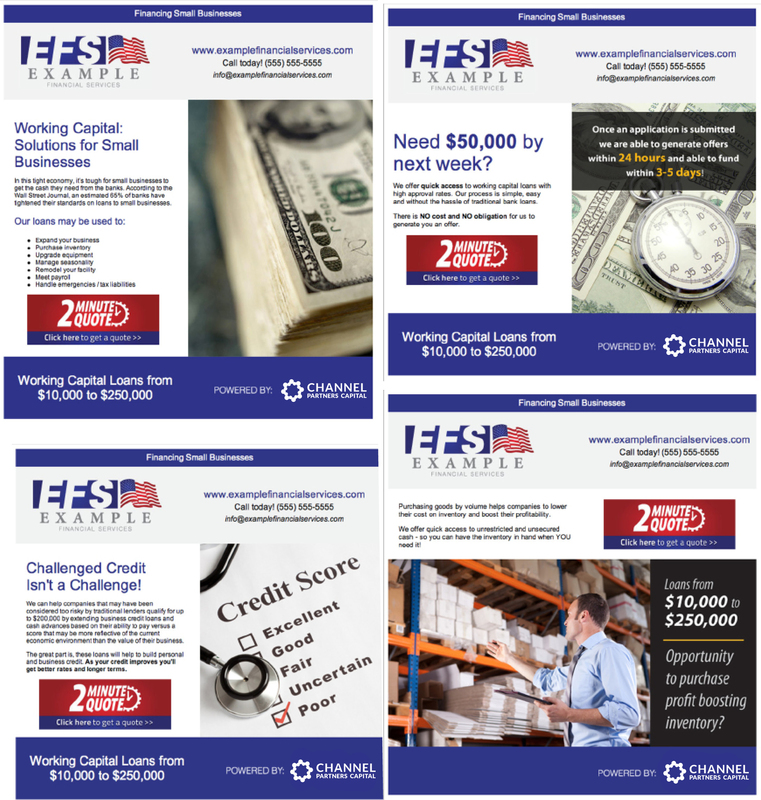 Channel Partners Capital develops a private label email template with marketing messages that advertise Working Capital Loans. You will be sent html code to paste in your already existing email marketing software.